Welcome to the 7th part in our series of troubleshooting guides dedicated to the iPhone 6 Plus. This is one of the most popular models released by the company primarily because it has a bigger screen size. It 5.5 inch display is far larger than any iPhone model before it. Aside from its display this phone also comes with the latest hardware improvements making it able to take advantage of the latest iOS software. Despite being one of the best iPhone models out in the market today, this phone also has its fair share of issues. These issues may be software or hardware related and this is what we will tackle in this latest installment of the series. If you own an iPhone 6 Plus or any other iPhone model for that matter then feel free to send us an email at [email protected]. We will be more than happy to assist you with any concern that you may have with your device. This is a free service we are offering with no strings attached. We however ask that when you do send us an email try to be as detailed as possible so that an accurate assessment can be made and the correct solution can be given. Problem: This morning I went to update my iPhone 6 Plus to the latest apple software (iOS 8.2), and for some unknown reason the phone glitched and rest, making the update fail. Now my phone signal has disappeared and it keeps saying ‘searching…’ i have someone else in the house on the same phone network and his phone is fine so I know it’s not the mobile network. I have tried to reset the phone several times and it is still not working. When I go into settings the cellular option isn’t even there. I haven’t had problems like this with previous upgrades, so I don’t understand why this is happening now. Solution: The failed update may have affected the software of your phone. Follow the troubleshooting steps listed below to resolve this issue. Toggle airplane mode: Tap Settings, turn airplane mode on, wait three seconds, and then turn off again. Check for a Carrier Settings Update: Tap Settings > General > About. Check for an iOS Software Update: Tap Settings > General > Software Update. Remove the SIM Card and reinsert it. Allow the iPhone to acquire the network again. If your SIM card has SIM PIN enabled, try turning it off: Tap Settings > Phone > SIM PIN. Try another location. If a different location works, but the original location still doesn’t, contact your carrier to report the issue. Reset network settings: Tap Settings > General > Reset > Reset Network Settings. Resetting network settings on your device will erase all current saved settings, including Wi-Fi passwords, preferred networks, and VPN settings. If the problem still persists then restore your phone as a new device using iTunes. Open the iTunes application on the computer, then click iPhone. Read the iTunes alert message and click Restore. Click the Next button in the iPhone Software Update window. Read the software license agreement, then click Agree. iTunes will begin restoring the iPhone to its default settings. Do not disconnect the iPhone from the computer. Once the restore is complete and the iPhone restarts, iTunes will display the Welcome to Your New iPhone screen. Click Set up as a new iPhone to set up the handset as a new device. Click the Name field and enter a name for the iPhone, then click Done. The iPhone is now setup and ready to use. If you still don’t have any network signal then bring your phone to the nearest Apple Store for further checking. Solution: It is true that the iPhone charges at a lesser amount of time when using the iPad charger. While there is no risk in doing this some owners report that their phone generates a considerable amount of heat when charging. This is due to the fact that more current is being passed on to the battery which results in more heat. The iPad charger is rated at 2.2 amperes while the charger that came with your phone has a 1 ampere rating. The phone itself can draw up to 1.5 amperes of current. This means that if you use the iPad charger the charging time will decrease. The excess ampere that is sent to the phone is disregarded. 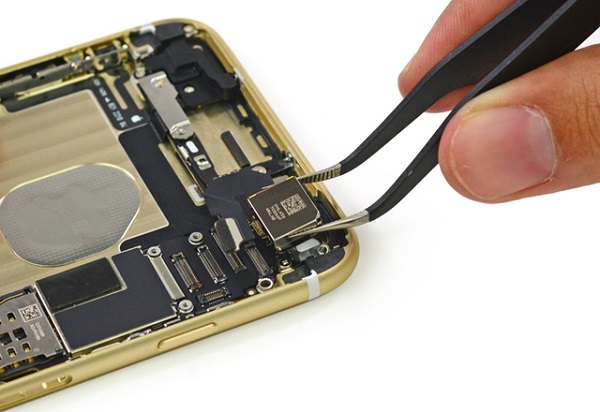 The iPhone has a thermal overload circuit that shuts it down once it reaches a certain level of heat so if your phone has not shut down then it is still safe. Problem: After update to iOS 8.2 focus on the rear camera stopped working. I have been searching around on the forum and see that other people as well have experienced the same issue on ios 8.1.3. So far I have not seen any other than me that have been having trouble with ios 8.2. Most likely I think this is a hardware issue with the optical stabilization of the lens. I will send my phone to service and update what this could be. Have anybody else had same problem after upgrade to iOS 8.3? Solution: iOS 8.3 is still in beta version and is expected to be released later this year. Have you tried doing some troubleshooting on your phone to see if the issue gets resolved? If the problem persist then this is most likely a hardware issue. You will have to bring your phone to the nearest Apple Store for checking. Problem: My Control Centre is unresponsive (from the slide to unlock screen) to the up swipe command for up to a minute, once it is invoked it works fine. There is no apparent pattern to this behavior, it only seems to happen after an extended sleep period that being said sometimes after an 8 hour sleep period the control center will open first try. Any ideas? Solution: Make sure that your fingers are dry when swiping the screen. You can also do a restart then a reset on your phone if the problem still persists. If the control center is still acting up then back up your phone data then setup your device as new. If the issue remains then this may already be hardware related. Bring your phone to the nearest Apple Store for checking. Problem: Last Thursday I made the decision to go out and purchase an iPhone 6 Plus. I am very happy with my purchase however after I updated to iOS 8.2 the battery life has been nothing short of awful. It drains incredibly fast and just a moment ago I had it on charge and was sending a text message to my girlfriend and the battery went down 2%… I have done all the tips spoken about online to preserve battery life but nothing seems to work. Is this a known problem and will there be a fix for it soon? Solution: This issue is usually caused by a process that is stuck in your device. There are a couple of troubleshooting methods that you can do to resolve this issue. One of the methods will ultimately resolve the issue. You can start by resetting your phone. Press and hold both the Sleep/Wake and Home buttons for at least 10 seconds, until you see the Apple logo. If that does not work then backup your phone data then restore your phone. If that does not work then setup your phone as a new device. You may also want to check on the battery usage of your phone and see which process is using most of your phone battery life. To do this go to Settings>General>Usage>Battery Usage. Problem: Ever since that new iOS 8.2 update, I’ve been having problems with my Bluetooth! The Bluetooth on my phone will not connect to my fitbit flex. As much as I paid for this phone, I should have NO problems whatsoever, especially after an update. I tried turning on and off my phone. I tried restoring the network settings. NOTHING! Any solutions? Solution: Are you trying to connect to FitBit using Bluetooth from your phone settings? If so, then it rally won’t connect. You will have to connect using the FitBit app. If the app is installed in your phone then try to delete it then reinstall it again. Once installed just follow the instructions on the app to pair your FitBit.